You are better off using a professional moving company in all instances, as seemingly insignificant details concerning your relocation can easily hamper your efforts if disregarded. Our range of professional grade removal services is the most efficient, sensible and affordable way to shift anything from single items to entire property contents to any destination countrywide. What makes our removals really efficient, safe and reliable is the fact that we work with specially qualified movers who have the necessary skills and expertise to avoid damage or misplacement of your belongings during every stage of the relocation. More so, our experienced drivers will make sure your items are delivered timely and intact. 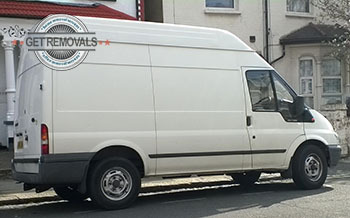 Our removals are flexible and convenient – we do deliveries to all towns and cities nationwide. We handle pickups from all London areas and surrounding districts. In terms of transportation, customers can expect swift and efficient relocation of their items without costly delays or others such. Our fleet of cargo vehicles is well maintained and equipped with all the necessary tools and machinery. All vans are clean and neat, stocked with enough safety blankets. Vehicles have Sat Nav systems and bear the necessary latching and hoisting equipment for heavy or voluminous loads. We have full liability insurance, we provide attentive twenty-four seven customer support and coordinate all removals through our call centre. Customers will receive adequate removal advice and assistance throughout the project. If necessary, we can also arrange for custom tailored service packages to meet specific removal requirements. 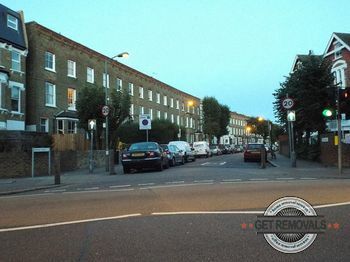 While our diligent and well organised mover teams take care of your relocation, this would be a great opportunity for you to get to know Balham as you don’t have to worry about packing and stacking boxes. Balham is quite close to the city’s central zones which means you can quickly get around to different places of interest. Balham town centre is actually served by a large number of different shops, stores, bars, cafes, restaurants of all kinds and many more. The place to be for live music in Balham is The Bedford Pub. There are different services available, from postal to insurance so you can tick off some chores if necessary. The most popular event to take place in Balham is the annual Food Festival stages in July. Balham is a centre of the Polish immigrant community since the days of WWII, however Polish population has increased by fold since two thousand six.